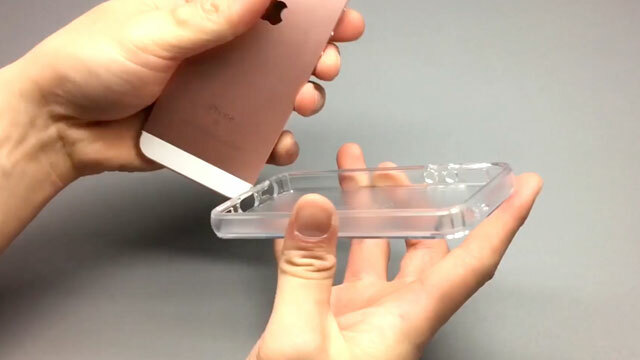 First, slide the device into the side of the iPhone SE CandyShell Clear case, volume buttons first. Next, use your thumb to apply downward pressure on the right corner of the device. Then use both thumbs to finish inserting the device into the case. Voila! Shop Speck’s iPhone SE CandyShell Clear case.